And then, of course, there are the more sinister, deliberate poisonings. “The Death of Socrates” by Jacques-Louis David, 1787. 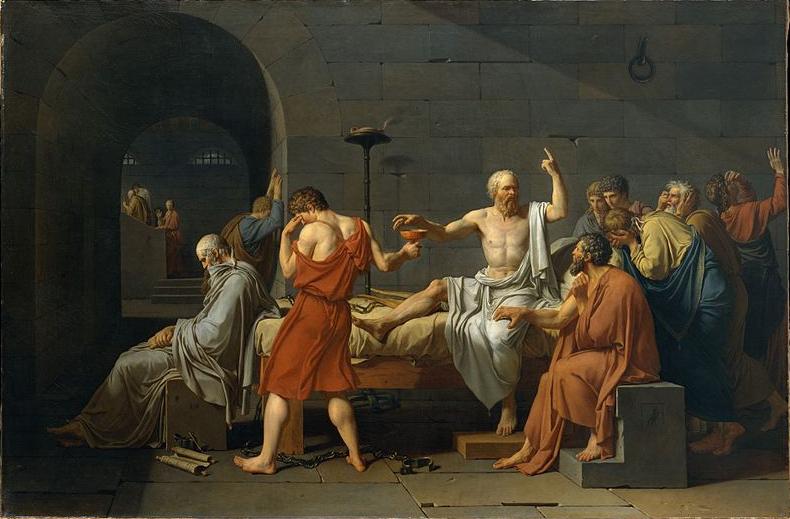 As a case-study, the death of Socrates offers some insight into the mechanistic basis of hemlock poisoning: it seems to interfere with communication between nerves and muscles, leading to loss of sensation and paralysis. In recent years, this has been defined more precisely. The main poison in C. maculatum is coniine (although there are several others), an alkaloid that causes neuromuscular blockage in humans and in grazing animals (but curiously seems to be somewhat less toxic to birds, needing a higher dose per weight for toxicity). It causes death when the neuromuscular junctions affected include those of the heart, arteries, and the muscles needed to breathe. Coniine, the nicotinic acetylcholinergic antagonist responsible for hemlock poisoning. Coniine is part of the nicotinic class of aklaloids (along with, you guessed it, nicotine). They work by modifying the function of cholinergic neurons, the ones that use acetylcholine as a neurotransmitter. What’s kind of cool about nicotinic alkoloids is that they have two phases of effect (reviewed in this paper), which seem contradictory: in the first phase, the alkaloid stimulates the cholinergic receptor, leading to symptoms like high blood pressure, increased heart rate, and tremors. In the second phase, the alkaloid’s effect on cholinergic receptors is inhibitory, with opposite effects: slowed heart rate, reduced blood pressure, and eventually, coma or death. The relative contribution of the two phases to the overall symptoms depends on the alkaloid, the dose, and the time of exposure, which is why some alkaloids, like nicotine, give primarily agonistic (stimulant) effects, and others, like coniine, give primarily antagonistic (depressive) effects. 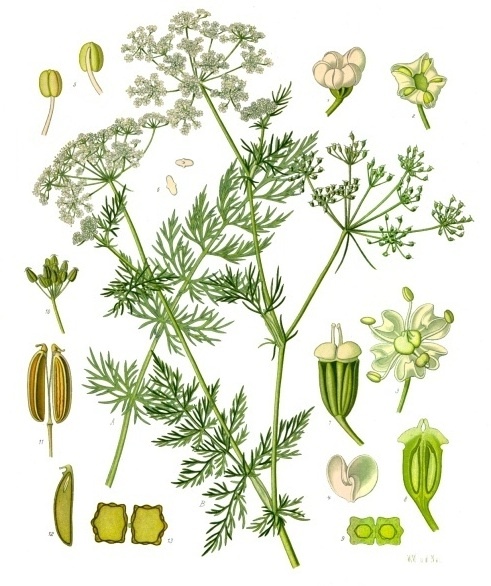 In pre-modern era medicine, the depressant and numbing effects of coniine were taken advantage of, and hemlock was sometimes added to the “soporific sponge” a collection of herbs used as an early form of anesthesia. But although coniine might seem to be an appealing anesthetic or analgesic, because it certainly blocks pain messages from reaching the brain, it’s not actually very useful in modern medicine because its therapeutic index is so narrow: the amount it takes to have an analgesic effect is very close to the amount it takes to kill you. The only thing coniine has in its favor as a poison is that the effects will eventually wear off, and for the various veterinarians who have had to contend with sheep or cows that have eaten hemlock, the trick is to fend off the coma and respiratory failure long enough for the coniine to wear off. 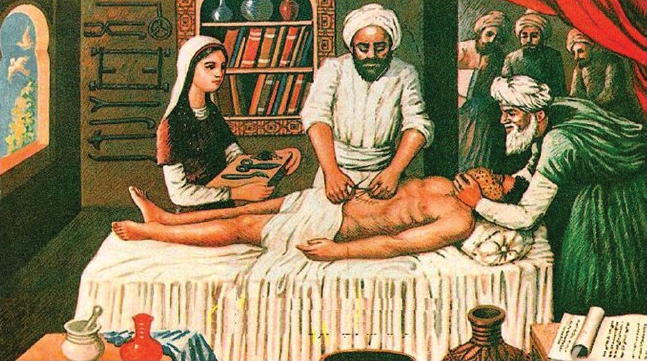 Use of the soporific sponge in 13th century Arabic anesthesiology, in which herbs including opium, mandrake, and hemlock might be combined and inhaled by the patient during surgery. From Takrouri, 2010, Figure 1 (see link, below). 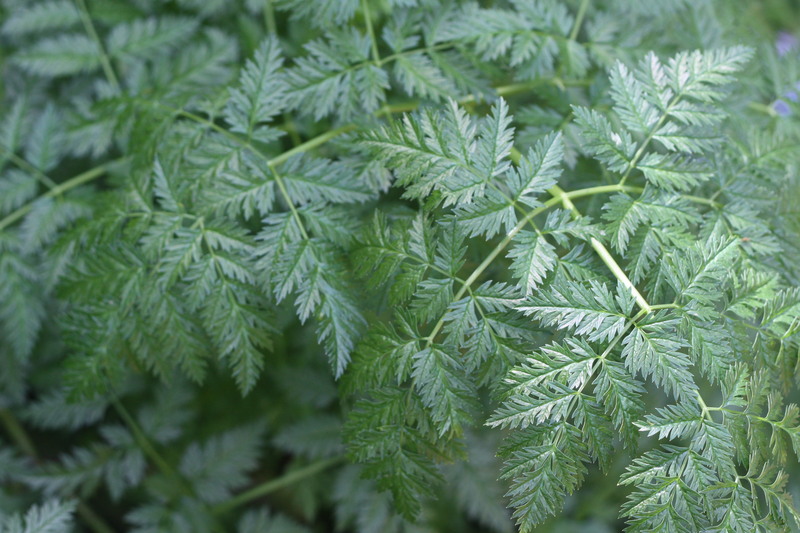 Recently, a new toxin was found in hemlock, which the authors of the study called conmaculatin. Like coniine, it has anticociceptive (pain-inhibiting) activity in mice, but also like coniine, the amount it took to prevent pain (10-20mg/kg) was very near the amount it took to kill the mouse (>20mg). So no great therapeutic help there. It does make me wonder if there’s the potential for a little biochemical wrangling here though–maybe some slight tweaking of the receptor affinity would give you a drug that could block receptors in the peripheral nervous system for pain relief, without blocking the neuromuscular junctions in the muscles needed for respiration and cardiovascular function. I can’t help but think that so many of our approaches to pain management rely on opioid receptors, with all of the potential for abuse that entails. Maybe some neurobiologist out there can weigh in on the potential for cholinergic receptors as a site of pain management? 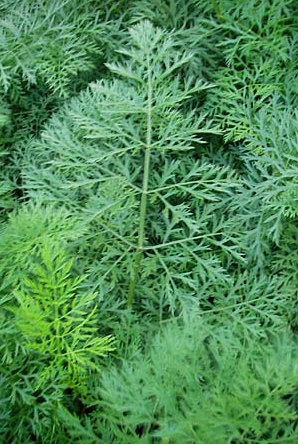 The Poison Garden has an excellent article on hemlock. This entry was posted in common plants, extra nitty-gritty, Foraging, History, molecules, research blogging, toxic plants, Wild plants in CA and tagged biology details, CA plants, don't eat that!, foraging, hemlock, toxic plants by aewills. Bookmark the permalink. I went googling for an image of young wild carrot leaves and came across your post. Excellent summary of a very interesting topic – thanks so much for taking the time to write!